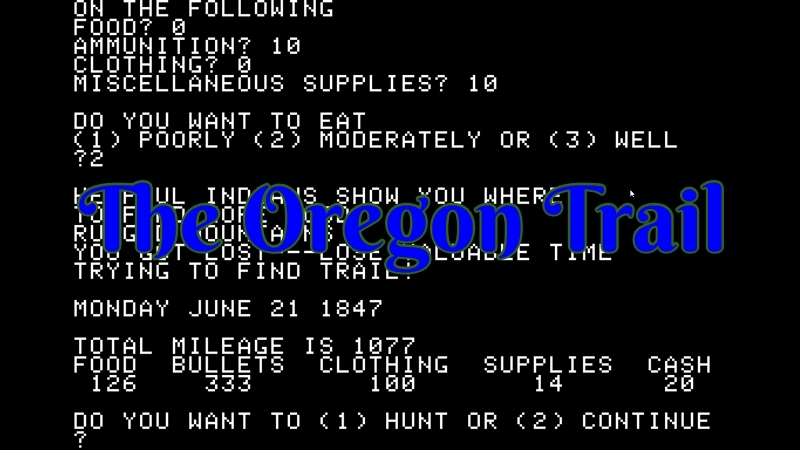 The Oregon Trail is one of those games that have managed to survive the passage of time. I’m sure many of you remember playing some version of it growing up. I know I did. I also did not know when I was younger that it was an updated version of the game. It has a long history of coming out with a newer version with the original being from 1971 and apparently they even have handheld release back in 2018. My local store sadly did not have any in stock and while it was tempting to order the handheld version of what is claimed to be the original. I was not quite willing to shell out $25+ just to find out how true that is or not. There are so many versions of this game. On top of that, this would be more of a novelty item and I’m out of shelf space for such a thing. So it would just go into a box and that is a sad fate for any game. Instead, I hopped on over archive.org and checkout out what they had. They had quite a few versions. Some of them seem to have been mislabeled when doing further research in trying to determine if there was any version from the 1970s. So before going on, I played a couple of games on it. After all, it brought back some nostalgia that is for certain. The more interesting things in the newer version are the difficulty was dependent on how rich you started off along with some other factors. Someone like a banker had a lot of money to fully load out his wagon and had everything he needed to make it across but no bonus points for doing so. The blacksmith had much less money but chance to make wagon repairs when something broke and also got a finishing bonus. Finally, someone like a teacher was the poorest of them all and had the biggest finishing bonus. The banker is so loaded in this game it just gave me the apple sign for the total of what he was spending. How dope that must be some sort of status symbol back in the day! It’s an educational game, after all, it would not lie! Since we were rich there was no reason not to ride in style. Every time we had the option of paying for a ferry ride we did. This cross country venture was more like a vacation and my travel agent is for sure getting a positive review on Yelp! Did they have Yelp back then? No??? Man those were some hard times. 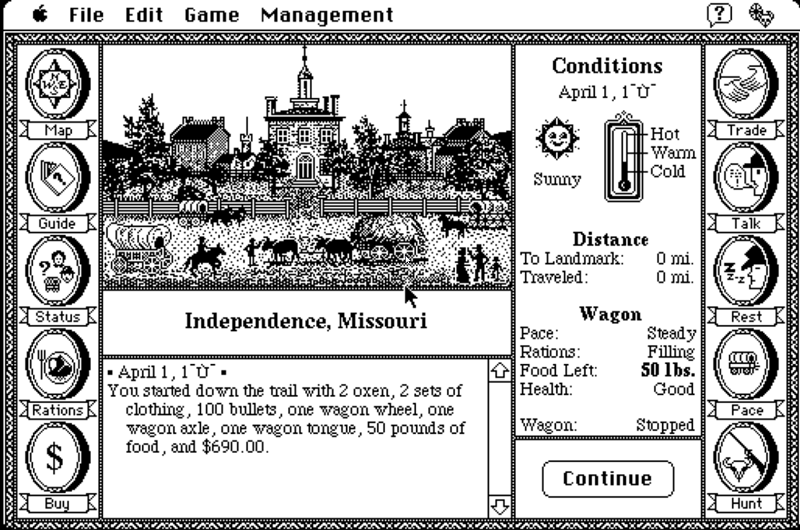 With ten oxen by our sides, we were just flying across the map. I had no clue oxen could fly but just go with it! We did suffer a couple of deaths. Money only buys you so much good fortune. Not my fault everyone kept trying to play with snakes and getting bit. It’s not like they had Fortnite to play or something—darn kids! Nope, they were stuck having to come up with their own fun during the nights and playing outside. Along the way, we did some sightseeing. Could you believe all these people stopped just to see some silly rock? Some of them looked like they had dysentery so we were rather quick to get out of this tourist trap. Towards the end, we did some white water rafting in our wagon. 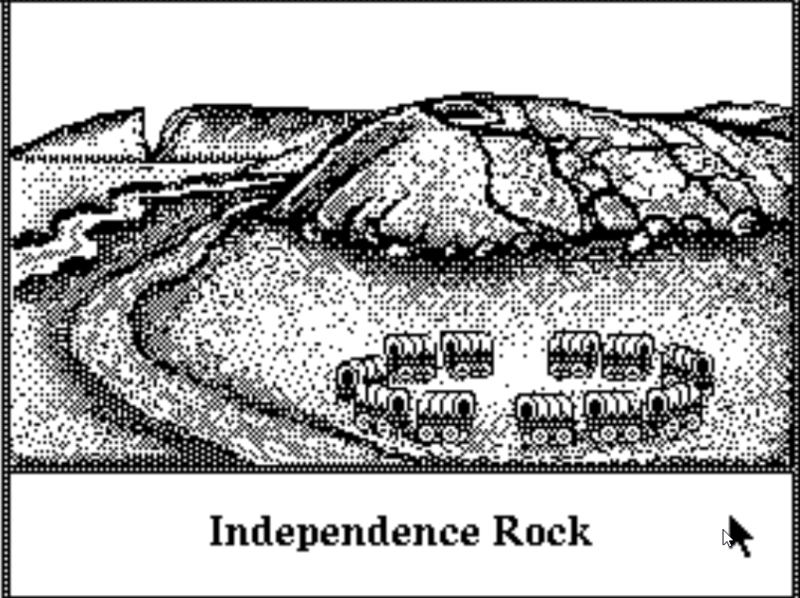 Lots of rocks and lost some supplies, oxen, and someone that I don’t even recall their name. The trail was a cake walk anyways and this was a way to spice things up. Ah, victory! We even made it in September just in time to enjoy the cooler weather before it got too cold. For whatever reason, it showed me having a lot less than I thought I did. 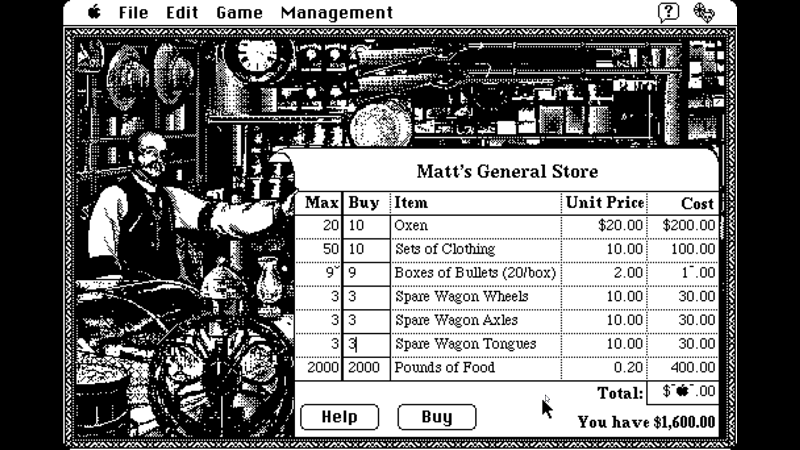 The emulator had some issues displaying numbers among other things. 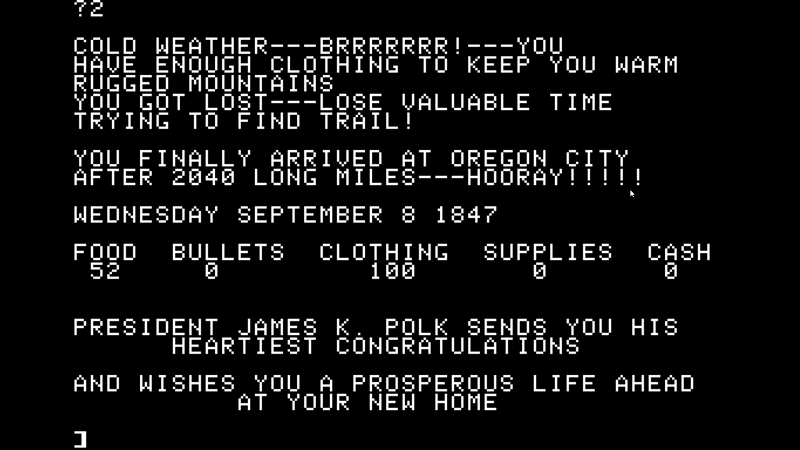 As such, I left with a massive $690 in my pocket hoping the 50 pounds of food and two oxen would get me to the nearest fort to buy more supplies. With so little food I ended up having to go hunting a number of times. Sadly squirrels are worth only a couple of pounds of meat. So I ended up changing the rations settings to just the bare minimum. This had the consequences of people getting sick more often. As you can see we were low on food quite often and with only two oxen this party wagon was going nowhere fast. Anna ended up getting the measles so make sure to press F to pay respect down in the comment section. She will be forever missed and was the first to go. 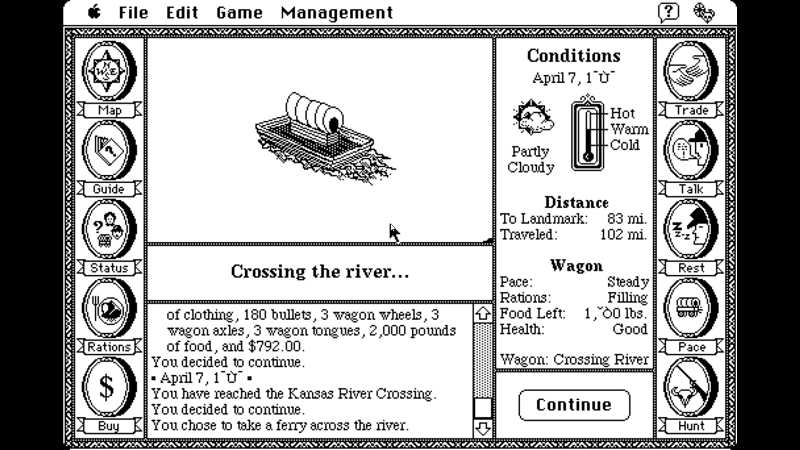 Two days later we had just made it to the Kansas River Crossing when two more party members fell ill. One of them did not survive the crossing. I just hopped Sara could hold on for a little while. Ideally stopping and resting would have been best. We were out of food, there was no water and I really wanted to make it to a fort resupply. So we had to press on! I don’t want to hear it you are faking being sick I know it! Things only went downhill from there. The remaining members got a few broken legs, snake bites and oh my typhoid fever. Enjar while out looking for some water got killed by a snake bite. I don’t even want to know how hard it would be to try as the school teacher so I moved on looking for another version of the game. Right after I check out some cool stuff like the guide page that was filled with information about locations, illness and other stuff. This was supposed to be an educational game after all so it makes sense they would include details like that. Lesson learned don’t get bitten by snakes! 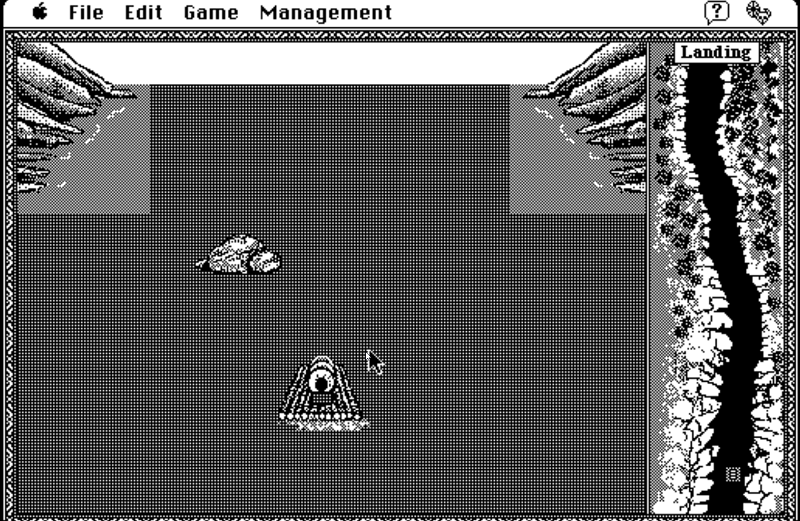 There were quite a few version of this game after the 1990s on Archive.org. None of them really had that nostalgia feeling and frankly we are moving in the wrong direction. While I’m sure version 1.0, deluxe, 3rd edition and all the rest are amazing this is also getting rather confusing. I don’t quite remember gaming back then having so many versions. Here I thought it was bad that most sports games have a yearly release! At least those are easy to follow in what order they are in. While I was not alive during the 1970’s it was finally time to enjoy how games were back then. I had finally found one. Well kind of. A guy named Chris Torrance recreated from the 1975 version code the game. After doing some research this appears very close to the 1975 version. With some minor exceptions but it’s hard to be sure. There are quite a few different versions of same version running around out there. I also did not have to download any files off of archive.org to get a taste for the game. That is just something I wanted to avoid. Here it is in its full glory! 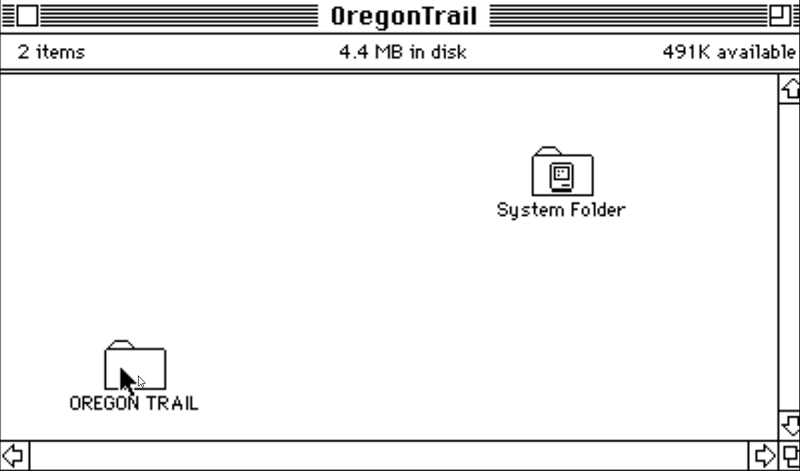 Just think how costly it was back in the day to have a system that could run this. That is something we tend to take for granted these days. Quite a few times I ran into hostiles and selected to run from those battles. Why take unwanted risks. It also slowed you down to deal with them. This did result in me quite often losing ammo and other things. For whatever reasons my son in this game kept getting lost as well. I guess he takes after his father who would get lost in a shoe box. It’s any wonder what so ever we even found the trail at all. The game also gave you quite a few stopping options to resupply. Most times I just passed on by. While I did not need to go hunting I wanted to explore the full experience this game had. 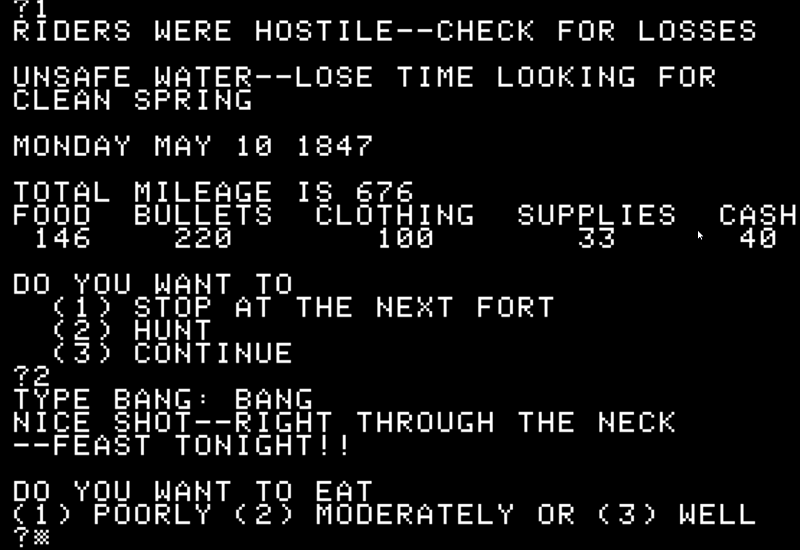 The faster you typed the trigger word and enter the better your shot was. I was eating like a king most nights. Quite a few times I had disaster strike like hail storms. My bullet supply seemed to be the main target every time. At one point I just stopped wasting money on bullets. I had enough food as it was. Then just like that, the game was over. It was quite an easy version compared to all the other ones I played. It was also the shortest as well. 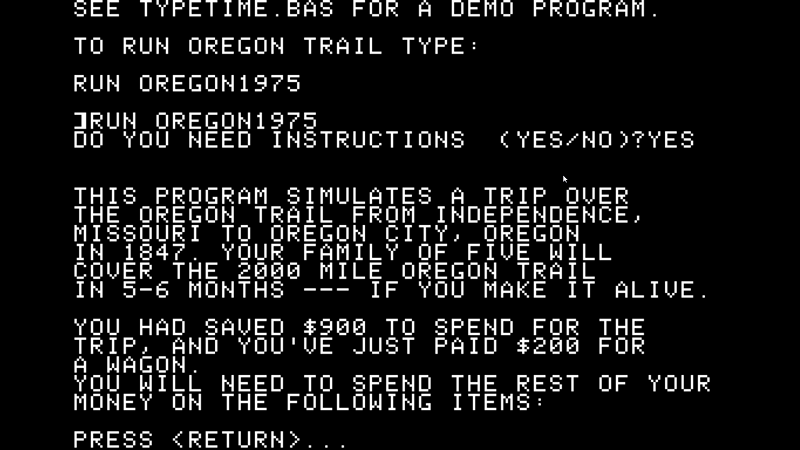 I guess there only so much you can expect from a purely text-based version of this game. 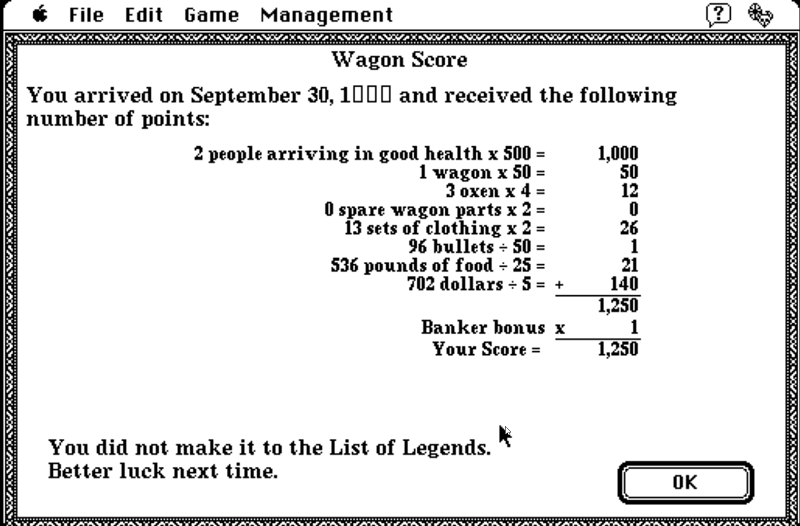 We also managed to beat that blasted banker’s time from 1990’s version I played. I remember from my childhood playing the newer version of this game that it was quite brutal. Every little thing would end up killing you, you never had enough food. Luck was just never on your side. 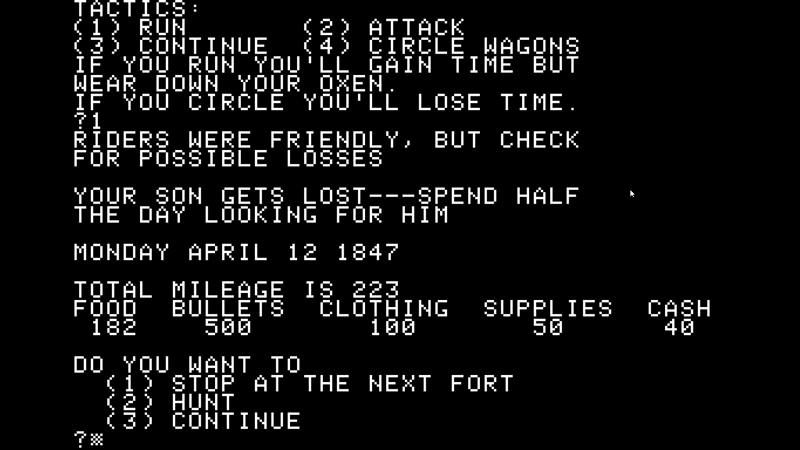 I’m sure just like all my friends back then who said it was a hard game never bothered to read some of the in game information. We just wanted to try and beat each other’s time. 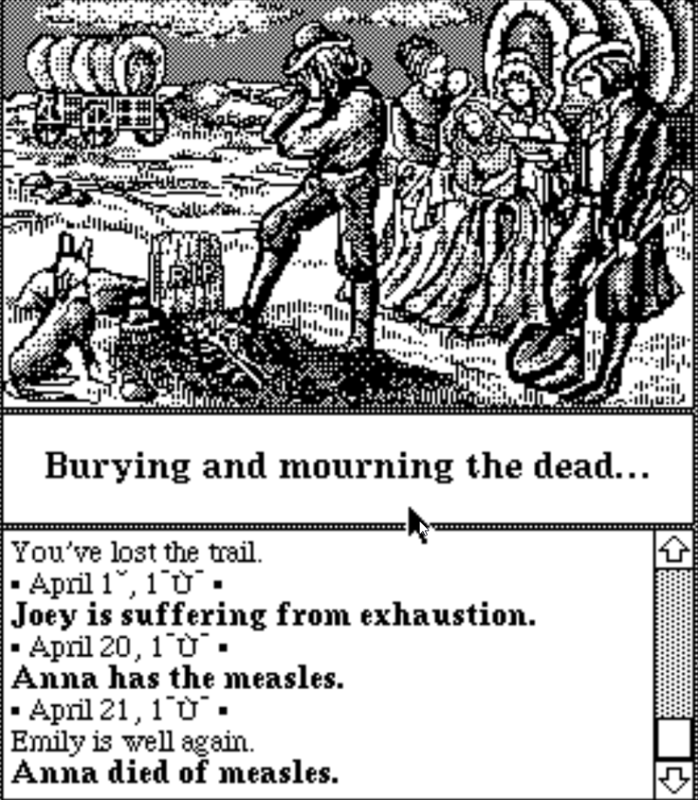 Have lots of fun on the trail and try and not get dysentery! @Archdruid is holding a contest on gaming though the decades and they have started on the 70’s. Consider checking it out and joining in on the fun Gaming Decades: The 70's. The contest ends on April 21 2019. Don’t wait till the last moment or you might miss it! Unlike me make sure you follow the entry requirements to qualify. I just wrote this one for fun in an attempt to get more eyeballs on the contest. Have an amazing week! 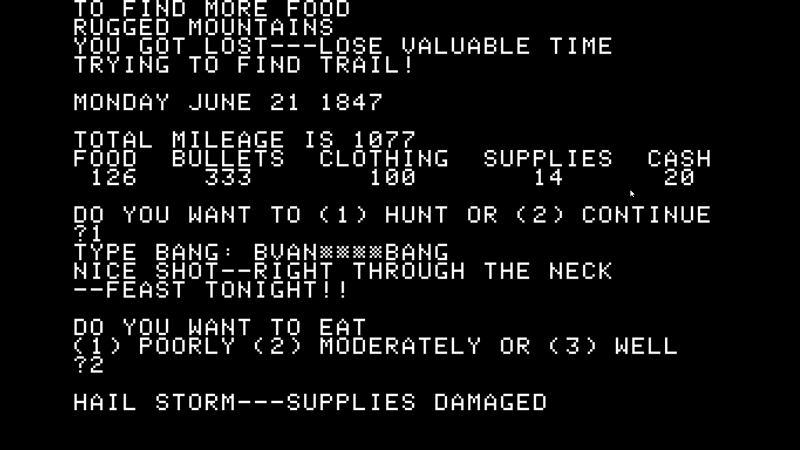 Screenshots were taken and content was written by @Enjar about the game Oregon Trail.